Here's the latest specials for Emirates flights from South Africa (from Cape Town, Johannesburg and Durban). Unless it's actually the morning of the date of the special, airfares are likely to have changed. Earn travel vouchers to discount your flights, by emailing us a writeup of your Emirates flight (include photos for bigger vouchers). Subscribe to our newsletter to be informed of Emirates specials. Note that nothing on this page constitutes an offer by South Africa Travel Online - it's merely the provision of information (which may have changed) to the public. 2019-03-12: Save on flights to Phuket, Bali and Bangkok when booking before 31 March 2019. Travel on selected dates between 21 April and 30 October 2019 to save. 2019-01-29: Save on flights to America! Book before 6 February 2019 to save on selected flights until 30 November 2019. Get all the details here. 2019-01-10: Save on flights with Emirates' Global Sale! Book before the 21st of January 2019 to save on flights until the 30th of November 2019. 2018-09-27: Save on Emirates flights to Bangkok and Phuket when booking and travelling before 9 December 2018. Get all the details here. 2018-09-04: Save on Emirates flights when booking before 10 September 2018! Travel all over the world with flights departing from Johannesburg, Cape Town and Durban to destinations like Paris, Rome, New York, Phuket, Sydney and many more! Selected travel dates are available until 9 December 2018 or between 24 December 2018 to 1 January 2019 and between 13 January to 31 March 2019. 2018-08-02: Save on flights with Emirates airlines when booking before the 7th of August 2018. Travel between 2 Aug - 9 Dec 2018 and 13 Jan - 11 March 2019 as flights start from R7,760*. 2017-06-20: Emirates Airways are currently running an amazing flight special to selected destinations. Flights start from R6,297* (Mumbai). Book before the 28th of June 2017 and travel on selected dates until the 20th of March 2018. Block-out dates do apply. Get more details here. 2016-04-04: Emirates Airways are currently running an amazing flight special to over 50 destinations from Cape Town, Johannesburg and Durban. Flights start from R 6,771* on selected routes and must be booked by the 11th of April 2016. Travel from the 4th of April until the 30th of November 2016. 2016-04-01: Happy April's Fools day! Emirates airlines are celebrating by offering you 45% off economy class fares from Cape Town, Durban and Johannesburg booked today. Travel between the 19th of April and the 15th of June 2016. This sale includes flights to London, Phuket, Amsterdam, Athens, Barcelona, Birmingham, Beijing, Bangkok, Boston, Budapest, Chicago, Denpasar, Dublin, Dusseldorf, Dubai, Geneva, Hamburg, Hong Kong, Ho Chi Min City, Karachi, Los Angeles, Larnaca, Lyon, Manchester, Male, Moscow, Munich, Nice, New York, Orlando, Paris, Prague, Rome, Seattle, San Francisco, Shanghai, Singapore, Venice, Vienna, Washington, Warsaw and Zurich. 2016-03-10: Save up to 50% on Emirates flights booked before the 18th of March 2016. Qualify for the biggest savings on the companion fare, or get up to 30% off on economy flights and 25% off on business class flights. Travel dates are from the 1st of April until the 20th of November 2016 on the business class fares and from the 1st of April until the 15th of June 2016 on economy and companion fares. This special is available from Johannesburg, Cape Town and Durban to Brisbane,*Perth, Sydney, Auckland, Bahrain, *Beirut, Doha, Dubai, Mashhad, Dhaka, Delhi,*Mumbai, Hyderabad, Bangkok, *Phuket, Kuala Lumpur, Ho Chi Minh City, Singapore, Taipei, Tokyo, Abidjan, Accra, Addis Ababa, Entebbe,*Nairobi, Amsterdam, Athens, Barcelona, Bologna, Brussels, Budapest, Dublin, Glasgow, *Istanbul, Lisbon, Milan, Munich, Paris, Rome, Venice, Bahrain, *Beirut, Doha, Dubai, Mashhad, Birmingham, *London, Manchester and *Newcastle. 2016-03-08: Save up to 40% on selected Emirates flights. Make sure you book before midnight as the sale ends today! This is for travel from the 1st of April until the 15th of June 2016. 2016-02-26: Save up to 45% on economy class flights and 40% on business class flights from Cape Town, Johannesburg and Durban to Europe. This includes flights to Paris, Barcelona, Rome and Munich to name but a few. Book by the 28th of February 2016 for travel from the 1st of March 2016 until the 10th of December 2016. 2016-02-12: Save up to 45% on economy class flights from Cape Town, Johannesburg and Durban to the US. This includes flights to Dallas, San Fransisco, New York and Washington. Book by the 14th of February 2016 for travel from the 17th of February 2016 until the 10th of December 2016. 2015-12-09: Save 30% on flights from Cape Town, Durban and Johannesburg to over 20 international destinations! Prices start from R6445* on selected routes. Book before the 14th of December 2015 and travel between the 13th of January and the 15th of June 2016. 2015-05-05: Emirates Airlines "Explore the World" sale includes great flight deals like Joburg to Copenhagen from R6851*, Joburg to London from R8446*, Joburg to Madrid from R6772* and finally Joburg to Venice from R6260*. This sale is available for travel until the 31st of March 2016. Book before 13 May 2015. *Starting from prices only available on selected flights during sale dates. 2015-04-10: Emirates Airlines "So much to see, so much to save" sale includes amazing deals like Joburg to Dubai from R6788*, Joburg to London from R8478* and Cape Town Los Angeles from R11,518*. *Book by 19 April for travel between 10 April and 18 June 2015. 2014-05-02: Emirates flight special: Save up to 25% on flights to selected destinations: JNB to Istanbul from R5,274*, JNB to Lisbon from R6,497*, JNB to Hong Kong from R6,710*, JNB to London from R7,061*, CPT to Istanbul from R5,674*, CPT to Madrid from R7,037*. *Prices are subject to change, book by the 8th of May 2014. 2014-04-14:Emirates flight special: JNB to Mumbai from R5901*, JNB to Rome from R6,524*, CPT to Lisbon from R8,173*, Durban to Rome from R7,024*. * Prices may change. 2014-04-06 Emirates 15% off sale Save up to 15% on economy and business class flights. JNB - Milan, JNB - Moscow*, JNB - Munich, JNB - Hamburg, JNB - Paris. * Limited availability, and can change. This special ends on the 11th of April 2014. 2014-03-11 Emirates flight special: Up to 25% off of selected Emirates international flights. JNB - Hong Kong from R6,768*, JNB to Seoul from R8,633*, JNB to Beijing from R6,926*. * Book by the 16th of March 2014. Prices may change. 2014-02-20 Emirates promo code for the Arabian Travel Market in Dubai from the 5th to the 8th May 2014. Navigate to Emirates SA, click on "Book " and enter the code EVE6ATM. 2014-02-17 Emirates flight special: Book at Emirates.com. JNB - Amsterdam from R6409*, JNB - Milan from R6043*, JNB - Barcelona from R5965*, JNB - Phuket from R6555*, CPT - Munich from R6541*. *Prices are subject to change. Bookings must be made by the 24th of February, for travel between the 17th of February and the 31st of May 2014. 2014-01-31 Emirates "Discover More for Less" flight special: Save up to 25% on Economy class flights, and up to 20% on Business class flights, to Asia and the Middle East. JNB - Mumbai from R6312*, JNB - Dubai from R6951*, JNB - Singapore Business class from R26854*, CPT - Kuala Lumpur from R8630*. *Prices may change. This special ends after the 8th of February 2014, and applies to outbound flights that travel by the 17th of April 2014. 2014-01-29 Emirates are running a Valentines Day special (ends after the 29th January, for outbound travel by the 20th of March 2014) for economy flights to Europe. Johannesburg to Munich from R5023*, Johannesburg to Zurich from R5506*, Johannesburg to Geneva from R5263*, Cape Town to Geneva from R5623*. *Prices are subject to change. 2014-01-24 Emirates are running a 2 day sale (ends on the 25th January) for flights to the UK, on both business class and economy class. There are specials running on the Johannesburg to London, Johannesburg to Birmingham, Cape Town to Glasgow and Durban to Manchester flight routes. 2014-01-22 Emirates "Chinese New Year" special: flights from JNB - Hong Kong from R7893*. This offer ends after the 22nd of January, and is valid for outbound flights between the 17th of February and the 21st of March 2014. *Please note that prices are subject to change. 2013-12-24 Emirates "Make it a year to remember" special: flights from JNB - Istanbul from R4901*, JNB - Kiev from R5652*, JNB - Paris from R6449*, CPT - Prague from R6163*. Limited availability, book by the 6th of January 2013. Emirates "Explore the World" special: flights from JNB - Frankfurt from R6442*, JNB - Istanbul from R5097*, JNB - Phuket from R6531*, CPT - New York from R10,133*. Limited availability, for flights that depart on dates between the 18th of November 2013 and the 31st of March 2014. Book by the 25th of November 2013. 2013-10-28 Emirates flight special, up to 25% off of business and economy class flights, until the 4th of November 2013 (subject to change). Dates available for travel extend until the 31st of May 2014, with blackout periods in between. Limited availability. 2013-10-07 Emirates "great moments with great airfares" offer. Mumbai flights from R5807*, Copenhagen flights from R6080*, Dubai flights from R6620* and Beijing flights from R7154*. Limited, book by 18th October 2013 (although flight prices could have changed before then), fly between 7 Oct and 10 April 2014 (there's a blackout period from 12 to 31 October, 5 to 23 December, 1 to 12 January 2014 and 8 to 15 January 2014. The best prices were only available on selected flights. Limited availability. 2013-08-23 Emirates Business Class Discount of up 20% off. For travel up to the 30th of November 2013 and must be booked by the 30th August 2013. 2013-08-07 Emirates London flight special from R6592* from Johannesburg, from R8084* from Cape Town. Ends on 9 August 2013. 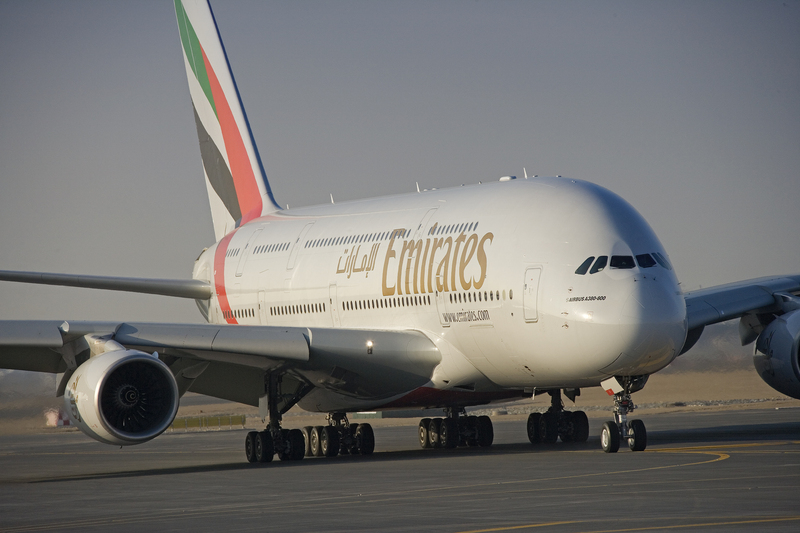 2013-06-25 Emirates is offering 15% off economy class return tickets to the following destinations, until the 29th June 2013 : Ahmedabad, Bangkok, Beijing, Delhi, Dubai, Hong Kong, Kuala Lumpur, London Heathrow, Lyon, Mumbai, Paris, Perth, Shanghai, Tokyo Haneda, Venice, Limited availability. For flights from the 7th July 2013 and the 30th November 2013 only, but not for outbound flights from the 2nd August to the 15th August 2013 or inbound flights from the 15th August 2013 until the 8th September 2013. 2013-06-20 Special business class airfares for bookings made from the 20th to the 22nd June 2013 and flights on or after the 12th July 2013, with a return flight on or before the 9th August 2013. Business class to Dubai from R27393, and 15% off selected international flights. 2013-06-11. Fares for 4 days until the 13th June: Fly to Bangkok from R6873*, fly to Hong Kong from R7123*, fly to Phuket from R7243*, fly to Singapore from R7822*, fly to Kuala Lumpur from R8134* or fly to Seoul from R9327* On selected flights from Johannesburg, Durban and Cape Town to the 4th December 2013. 2013-06-04. Tempting business class airfares: Flights to Dubai from R31460*, flights to London from R27299*, flights to Istanbul from R22144*, flights to Frankfurt from R27299*, flights to Paris from R27397*, flights to Mumbai from R18963*. Book by 6 June 2013, on selected flights from the 12th July 2013 to the 4th August 2013. 23 May 2013. Flash sale, 8% off flights from India. India to Johannesburg from 43214* INR. Book by 24 May 2013, fly by 31 July 2013. 20 May 2013. Emirates are running a 4 day sale for flights to Dubai from Durban and Johannesburg. They're offering a 10% discount on Economy Class return fares* to Dubai for travel until the 4th December 2013. Book by 23rd May. 15 May 2013. Check out this cheap flights to Amsterdam, which can be booked as part of the Emirates sale. 14 - 16 May 2013. Emirates sale to Europe : 15% off selected flights to Amsterdam, Athens, Barcelona, Copenhagen, Frankfurt, Geneva, Istanbul, Lisbon, Lyon, Madrid, Milan, Munich, Nice, Paris, Prague & Zurich. 6 May 2013. 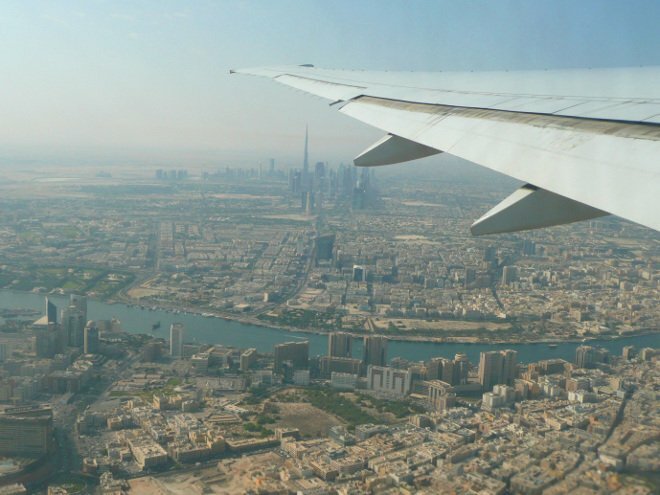 Flights from Cape Town to Dubai/Johannesburg to Dubai from R5738* or Durban to Dubai from R6036*. Includes 3 nights in a hotel, landside help at Dubai Airport & transfers between the hotel & airport. To book phone Emirates Holidays 0861 040503. Limited availability on certain dates to 4 August 2013 (but not weekends and not 20 June to 15 July 2013, and certain other dates). Does not include the cost of visas to the UAE. 26 Mar 2013. Emirates Europe special - 15% off selected flights from Durban, Joburg & Cape Town. 25 Feb 2013. Emirates 20% Asian flights discount - Bangkok, Ho Chi Minh City, Hong Kong & Maldives. From Johannesburg, Cape Town and Durban. 8 Feb 2013. Emirates special fares when you book flights for 2 before 11th February 2013* (20% off Business Class or 15% off Economy Class) when you travel between the 5th April and 31st May, to any of their selected destinations. To book this special, add SAVLD13 in the Promo Code field when you search for flights. 27 Nov 2012. Emirates "Early 2013" sale for flights to most destinations in the world. 2 Nov 2012. Emirates flight specials to London, from Johannesburg & from Durban.